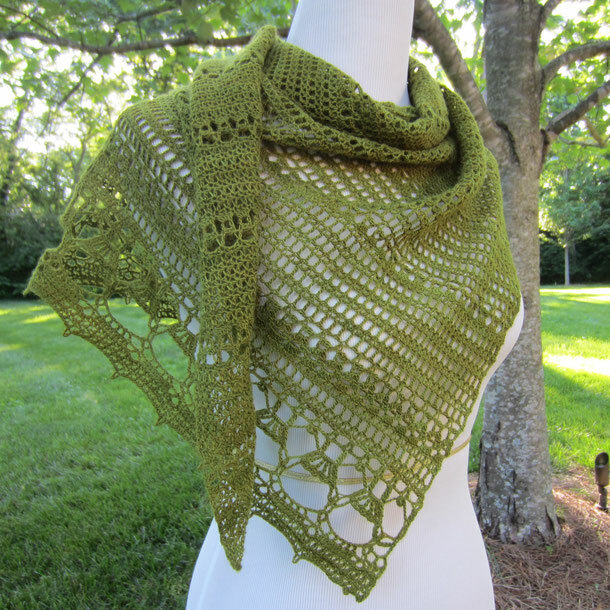 The talented Julie Blagojevich of Crochet Works has completed and published her gorgeous design, Rowena. 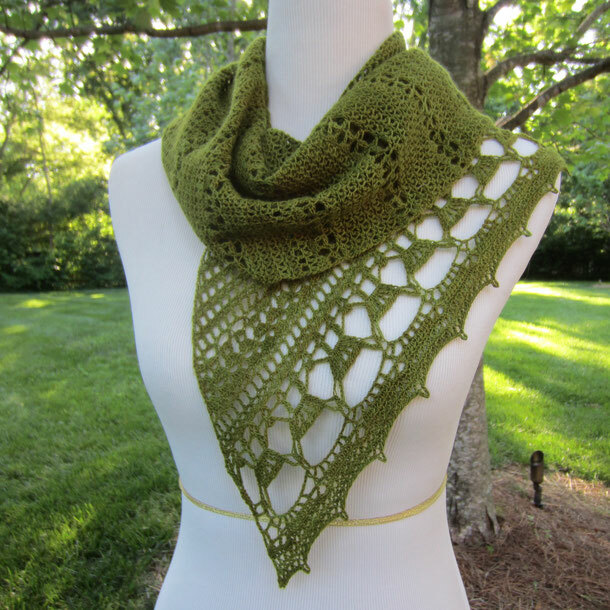 Rowena is a beautiful asymmetric shawl that is crocheted in my super-soft Falkland Fine Merino laceweight yarn. The colour that Julie chose to use for her design is Greendale. You can read the fascinating inspiration for this yarn here!